This page contains two videos you can watch about The DogSmith. Video One – The Twenty Reasons To Join! The first video is 25 minutes long and takes you through the 20 reasons why you should join The DogSmith. We start by explaining our journey and how we became an international licensing company. 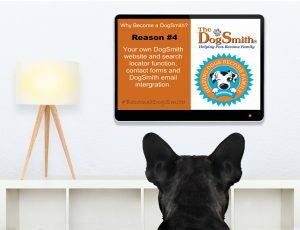 Video 2 gives you a sneak peek into our DogSmith Knowledge Base and all of the great tools and resources we provide.